In six and a half years of blogging I have never had so many requests to review a brand. Ever. The Ordinary has certainly hit the industry with a bang. A big bang. Why have you made the Ordinary? Because brands, big and small, continue to disguise commodity innovation for ingenuity through creative use of packaging, communication and pricing. It had to be done. No one in the world of vitamins can charge $300 for a tin of vitamin A tablets because that industry comes with more transparency but you can easily find virtually the same formulations ranging from $5 to $500+ in the world of beauty. How have you made it so affordable? We have applied our very standard margin % across all the products in The Ordinary and, in fact, our average margin % in The Ordinary is far higher than, say, NIOD’s Flavanone Mud, which has our lowest margin to make it sensibly priced. For example, very high purity Niacinamide costs under $10 per KG and so the cost of all materials in Niacinamide 10% + Zinc 1% is under $1 (£0.5). Most of the cost actually goes into compounding, testing (inbound and outbound) and retail costs/margins. We haven’t cut any margin % and The Ordinary is a sustainable model. How do the %s of actives compare with the rest of the Deciem range? If we use an active ingredient, we almost always use it at the highest, or a very high, concentration, regardless of the brand and The Ordinary is no exception. Our other brands simply have different approaches in the ingredients they use (some are over $5m per KG) and their combinations (it’s a nightmare to stabilise all of the ingredients in NIOD NEC). I am not sure that any of The Ordinary formulations can actually include any more % of the actives used (chemically or legally). Are you worried that people will buy the Ordinary and that it will hit the sales of your more expensive brands? Not at all because any offering we have that is more expensive is not so because the “brand” is more expensive but because the product offers something else. If any product from The Ordinary was offered under NIOD or Hylamide, its price would have been the same. The Ordinary is not a mass-market brand and it actually targets a very educated audience (just look at the product names) irrespective of budget who understands ingredients and does not allow marketing to win over very clear science. 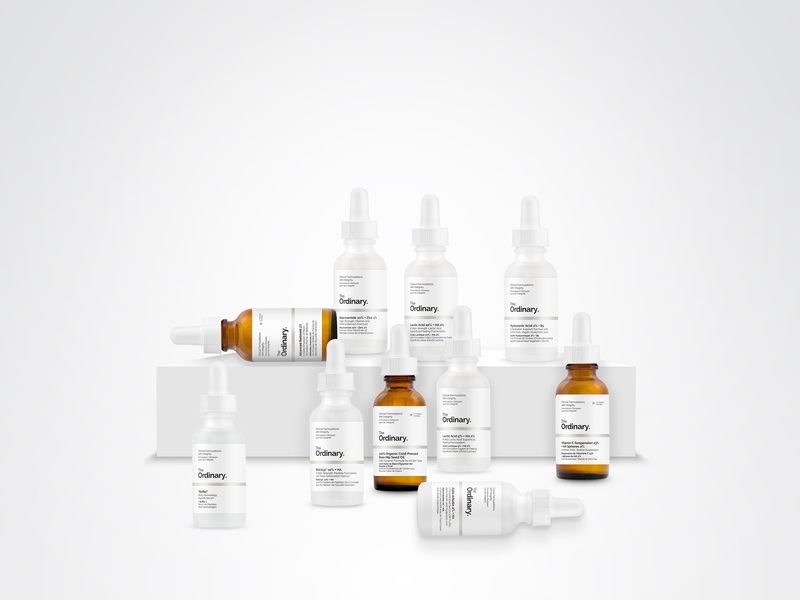 Would you have been able to produce the Ordinary without the sales/income stream from Deciem e.g. selling Grow Gorgeous? Beauty is still a business, while I completely agree about £500 creams etc, surely brands are allowed to make a profit? Any business requires capital to start—whether it’s tax-paid money, loans, investments or revenue stream – makes no difference. DECIEM has been fortunate to be successful and we have invested our resources to create The Ordinary amongst many other things. Selling Grow Gorgeous was done to have the cash to open DECIEM stores globally not to fund new brands. Yes, beauty is a business and yes brands are allowed to make a profit: The Ordinary has a higher profit margin than many NIOD products and I shared an example cost breakdown. But no, it does not make sense for a brand to sell a simple commodity formula that costs $1 to make for $500 while the rest of the world operates on less greedy margins. The Ordinary is a very serious business and is not formed as a charity or to make a point. So there you have it. The Ordinary is here to stay, a serious brand, not temporary, not gimmicky, the real deal. The proof will be in the pudding and repeat business. I strongly suspect The Ordinary to fly. I know Brandon and know that he would never put something to market that didn’t work. It would go against his DNA. I personally would’ve preferred the products to be less confusing than NIOD, but those of you hoping for an easy-to-read ‘serum’ explaining when to use it and what with, you’re out of luck. The products are still labelled very scientifically with what they are made up of, rather than what they will actually do for you. See ‘Ascorbyl Tetraisopalmitate Solution 20% in Vitamin F (coming soon)’ for example. Brandon is absolutely right on one score, I know brands that charge nearly £500 for a 50ml moisturiser that cost 8€ a kilo to make. Ridiculous. While there is an absolute need for more transparency and brilliant affordable products, I do wonder if Brandon, being a geeky male (sorry Brandon – but you know what I mean! It’s a compliment. 🙂 ) is potentially underestimating the pleasurable side of skincare. Yes it’s a necessity and there should be affordable options – lots of them – but I still think people will continue to pay for their favourites in the same way that we do for fashion and pretty much everything else we consume. Having Shoe Direct provides an affordable option for a necessity, it doesn’t stop Louboutin, Adidas and Clarks from their huge trade.